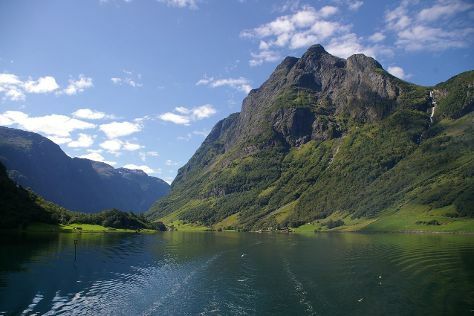 Spend the 29th (Tue) exploring at Hardanger Fjord. There's much more to do: take some stellar pictures from Mount Floyen and the Funicular (Floibanen), stroll through Vidden Trail between Mt. Floyen and Mt. Ulriken, steep yourself in history at Rosenkrantz Tower - Bymuseet i Bergen, and take your sightseeing to a higher altitude at Ulriken. 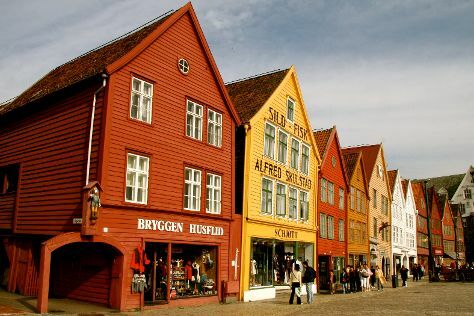 To see ratings, maps, where to stay, and other tourist information, read our Bergen tour planner. New York City, USA to Bergen is an approximately 12.5-hour combination of train, taxi, and flight. Traveling from New York City to Bergen, you'll lose 6 hours due to the time zone difference. Traveling from New York City in August, things will get cooler in Bergen: highs are around 63°F and lows about 52°F. Finish up your sightseeing early on the 5th (Tue) so you can travel to Flam. Change things up with a short trip to Hardanger Bridge in Ulvik (about 1h 30 min away). There's still lots to do: explore the striking landscape at Naeroyfjord, enjoy breathtaking views from Stegastein Lookout, make a trip to Aurlandsfjellet National Tourist Route, and grab your bike and head to Rallarvegen. To find more things to do, ratings, traveler tips, and other tourist information, you can read our Flam vacation builder. You can do a combination of train and bus from Bergen to Flam in 2.5 hours. Other options are to drive; or take a bus. Wrap up your sightseeing by early afternoon on the 9th (Sat) to allow time for the car ride to Jostedal. Kick off your visit on the 10th (Sun): explore the striking landscape of Nigardsbreen Glacier. To find maps, other places to visit, traveler tips, and other tourist information, go to the Jostedal itinerary builder. Drive from Flam to Jostedal in 3.5 hours. Alternatively, you can take a bus. In September, daytime highs in Jostedal are 53°F, while nighttime lows are 44°F. 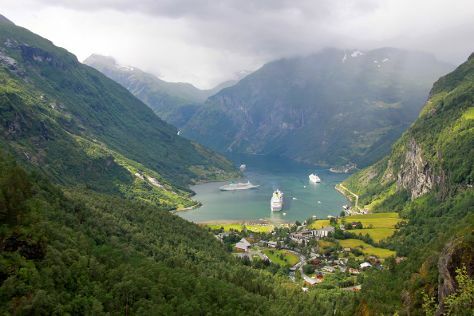 Cap off your sightseeing on the 11th (Mon) early enough to go by car to Geiranger. Geiranger is known for nature, sightseeing, scenic drive, shopping, and museums. Your plan includes some of its best attractions: take in the dramatic natural features at Geiranger Fjord, tour the pleasant surroundings at Flydalsjuvet, get great views at Geiranger Skywalk - Dalsnibba, and make a trip to Norwegian Fjord Centre. To find ratings, traveler tips, more things to do, and tourist information, read our Geiranger vacation builder. You can drive from Jostedal to Geiranger in 3.5 hours. Alternatively, you can do a combination of bus and ferry. Traveling from Jostedal in September, you will find days in Geiranger are somewhat warmer (59°F), and nights are about the same (47°F). Wrap up your sightseeing on the 14th (Thu) early enough to travel to Algard. Ålgård is the administrative centre of Gjesdal municipality in Rogaland county, Norway. 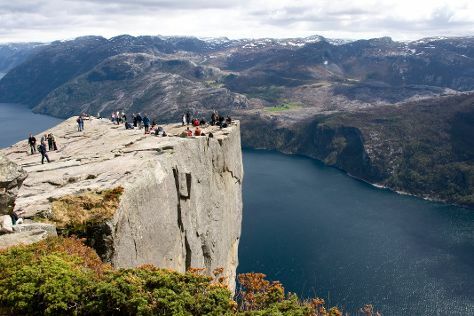 You'll find plenty of places to visit near Algard: Pulpit Rock (in Forsand Municipality) and Stavanger (Sverd i fjell, Godalen Beach, & more). There's much more to do: kick back and relax at Sola Strand, tour the pleasant surroundings at Sola Beach, and have fun at Leos Lekeland. For where to stay, photos, traveler tips, and more tourist information, use the Algard itinerary planner. The Route module can help you plan travel from Geiranger to Algard. September in Algard sees daily highs of 60°F and lows of 50°F at night. Finish your sightseeing early on the 18th (Mon) to allow enough time to travel to Oslo. Spend the 22nd (Fri) exploring the striking scenery along The Bergen Railway. 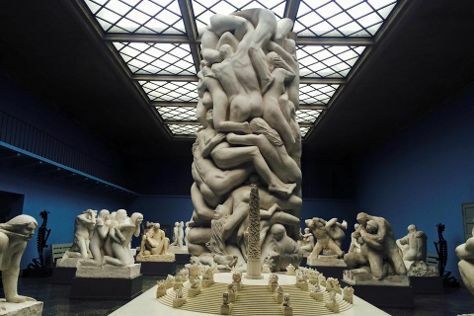 There's still lots to do: admire the masterpieces at Vigeland Museum, take an in-depth tour of Viking Ship Museum, contemplate the waterfront views at Oslo Fjord, and step into the grandiose world of Akershus Castle and Fortress (Akershus Slott og Festning). To see reviews, where to stay, traveler tips, and tourist information, read Oslo trip planner. The Route module can help you plan travel from Algard to Oslo. Traveling from Algard in September, Oslo is slightly colder at night with lows of 43°F. Wrap up your sightseeing on the 30th (Sat) to allow time to travel back home.